I thought my Book will be useful for the new YouTubers and for the people who want to increase their earnings from their YouTube Channels. So, I spent significant money for running paid campaigns for promoting this Book. I tried Facebook Ads, Reddit ads, GoodReads Give Away, LinkedIn Ads and Amazon AMS ads. But it didn't make much sales. So, I stopped promoting this Book and forgot about it. Few days back I got a chance to go through the review comments for this Book in GoodReads website. Almost all the reviews are telling the same message. i-e They feel that the content in the Book is informative and useful, but the writing style and Grammar are not Good. It makes sense. Because English is not my primary language and I am not good at writing. It made me to think about the option of directly working with the YouTubers instead of just sharing my experience through the Book. And, therefore I have decided to do consulting work for offering services like reviewing YouTube Channels, giving suggestions to improve them, implementing suitable monetization strategy and promotion approaches. I have around 20 years of experience in the IT Industry with various Positions and Roles. You can check my LinkedIn profile for the details. So, apart from reviewing the YouTube Channel, I will be able to test websites/blogs in various perspectives including loading performance, security, SEO, promotions and user experience. I am successfully running my YouTube Channel for more than 8 years, and I have answered many Quora Questions about running YouTube Channel. So, I believe I will be able to help YouTubers to improve their earning potential by reviewing their Channel and Business model. If you are interested, you can book my time by making payment to my paypal account. I plan to charge $15 USD per Hour. Contact me (rajamanickam.a@gmail.com) to know my paypal details. I believe it will be an opportunity for the people who are willing to earn money by working from Home. I will be doing it for few channels only as I have very limited time to spend. So, make use of the opportunity by contacting me soon. 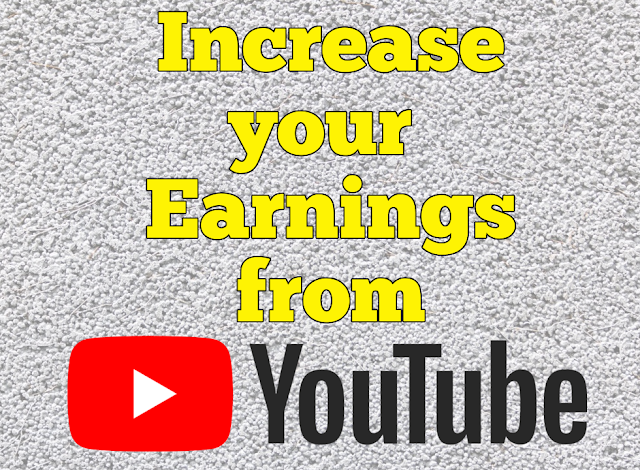 People who are planning to start YouTube Channel or own Website can also contact me so that I can guide them by suggesting best strategy to earn money easily by using their Talent/Skills or by selling their Products or Services. I will suggest best business model after doing deep analysis from various perspectives, and I will be able to help them to implement the suggested model till they start earning money. Share this information to your Friends who may be interested to make use of this Offer. Feel free to ask your Questions through the comments. Have the Courage to start and run your YouTube Channel irrespective of any obstacles you may face while doing so. Know your Passion and create Videos accordingly. Set your Target Audience, and keep them in your mind while creating as well as promoting your Videos so as to give them relevant content. Work on to integrate your YouTube Channel with your overall Business Model. Give importance to SEO while creating and promoting your Videos, but not more than your Audiences. Upload quality, unique, useful and interesting videos frequently. Upload attractive and relevant Custom Thumbnail image before publishing your Video. Promote your videos in Social Media like Facebook, Twitter, Reddit, etc only on relevant Groups/People with relevant HashTags or any other value addition. In case you use Paid Campaigns like Google Adwords, Reddit Ads, Facebook Ads, etc, the campaigns should be targeting only the people who are likely to watch your Videos significant amount of time, otherwise your Video WatchTime will be affected. Don't expect your Channel growth overnight. Though starting YouTube Channel is very simple, running it continuously requires patience and lot of Hard work and dedication. Engage with Your Audience through Comments, Live Sessions and Community Tab. Don't get confused with the Jargons like RPM, CPM, CTR, etc. You will come to understand them easily once you actively involve with your YouTube Channel. Do the Cross promotion using the YouTube Tools like Cards and End Screen properly. Give attention to Metadata, like Title, Description and Tags to make them SEO friendly. But don't dump them with lots of keywords. Never give clickbait title. It will affect your Video Watch time. Low watch time will affect the search rank and suggestion. Arrange your Videos properly in PlayLists and showcase some important playlists in the home page of your YouTube Channel. Collaborate with other related YouTubers. Watch your YouTube analytics report regularly to tune your video creation and promotion activities. Make use of royalty-free resources (e.g Music tracks available in YouTube Audio Library) to improve the Quality of your Videos. Never try to use any copy-righted content, and never hesitate to fight against false copyright claims. Create Videos based on Trending Topics related to your Channel. Understand the Fact that YouTube is not going to pay you based on number of Views or number of Subscribers. Watch Time plays important role in increasing your Earnings. So, Focus on creating interesting/useful content. Use Good Quality Mic and Camera or any other tool required for creating your videos. Use the Tools like Audacity to cancel the noise in your audio. Check my Amazon Influencer Storefront to see my recommended Gadgets for the YouTubers. Never compare your channel with other similar channels . Everyone is having their own way of making money from YouTube. Think from various perspectives like Brandable, Searchable and Trust factor while choosing your channel name. Don’t think your YouTube Channel as a separate Entity, instead view it as part of a Business Model. Integrate YouTube with your other Business activities. Never try to use any shortcut method to bring views or subscribers to your Channel. Don't worry much about video Views or Earnings initially. Just focus on creating high quality and informative videos frequently, and promote them at the relevant websites and groups. Earnings will follow you at the appropriate time. All the Best!!! I had updated my Book about YouTube based on the review comments given by GoodReads users. You can buy the updated Book at Amazon for the affordable price. Feel free to share your comments about this Book here or at Amazon. This Book has started getting Positive Review at Amazon.